Jeremy Pruitt has come a long way from Wills Valley Elementary School in Fort Payne, Ala., to Knoxville and being the coach of the University of Tennessee's football team in the Southeastern Conference. KNOXVILLE -- He is still the guy that taught them how to play kickball and officiated their dodgeball games. He's still the guy that wore a Fort Payne Wildcats football T-shirt to class every day and carried them over his shoulder across the playground if they got hurt. “It's crazy to think he was my kindergarten teacher and watched me tumble outside on the playground and now he's the head coach at a major SEC school,” said Presley Hawkins, a Wills Valley graduate. He's a coach's son from Rainsville, Alabama. He's a grinder, a lifer, a country boy comfortable in his own skin. He prefers wearing sweats over suits and isn't ashamed of a drawl that caused “aight” to go viral minutes after his introductory press conference. He flies on private jets not to impress, but to get places faster so he can spend more time working on football. Jeremy Pruitt began wearing a full football uniform around the house by age 3. He grew up in a fieldhouse, and his babysitters were the coaches and players surrounding him. While many kids were watching Saturday morning cartoons, Pruitt was breaking down film from a Friday night game with his dad's staff. Pruitt wasn't obsessed with being on the fast track in coaching. His feet were always planted wherever he was, his focus always on achieving greatness in the moment. Pruitt made stops at Fort Payne High, Plainview High and storied Hoover High before ascending to the college ranks. He's been on the staffs of four national championship teams, winning three at Alabama and one at Florida State. 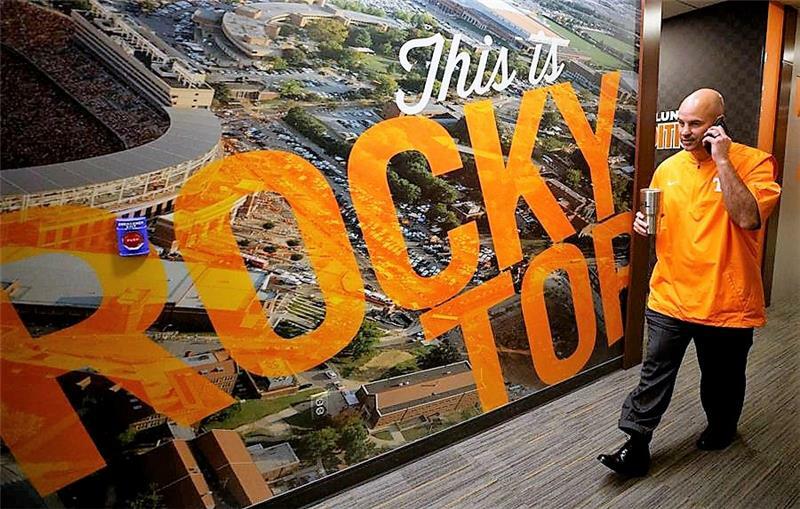 During his interview with Beverly Davenport, the chancellor at Tennessee, Pruitt told her about teaching kindergarten through third grade PE classes. He said he taught every child in Fort Payne how to tie their shoes from 2001-2004. “I also told her that I started suggesting Velcro,” Pruitt quipped. Layton Powell, 21, was in Pruitt's classes at Wills Valley from kindergarten through the second grade. As the boys begged to play football or basketball, Hawkins always wanted to show Pruitt her latest cheerleading moves. Her mom, Vicki Dodd, was the PE teacher and cheerleading coach at Fort Payne High, and Hawkins wanted to be just like the older girls. Hawkins comes from an SEC-conflicted household. Her mom was a cheerleader at Alabama, her stepfather, David Dodd, played football at Tennessee from 1984-88 and she graduated from Auburn. It made for some interesting Saturdays. The one thing they can all agree on? They are all huge fans of Jeremy Pruitt. Dale Pruitt says his son's down-home nature is genuine and helps him relate to the players he's recruiting. Powell is the same age as Jeremy Pruitt's oldest son, Jayse, and they played on a summer baseball team in middle school coached by Pruitt. Once Pruitt began coaching in college, Powell figured they would never cross paths again unless they were both in Fort Payne. But they reconnected at Alabama, where Powell has been working as a student manager for Pruitt. Pruitt gained a reputation for sleeping on a cot in his office from the time he started coaching high school. The apple doesn't fall very far from the tree. The Pruitt family has picked a random day to celebrate Christmas in December the last few years because Alabama has always been preparing for the College Football Playoff. Football and family have always gone together for Jeremy Pruitt and guided many of his major life decisions. After Pruitt's introductory press conference, his wife and parents went looking for him in his new office. He wasn't there. He was already conducting meetings. He appeared for a few minutes while everyone was eating cake to celebrate his son's birthday and then disappeared again.